When I was first contacted by the studio, I was informed very briefly about the world that they are trying to build. 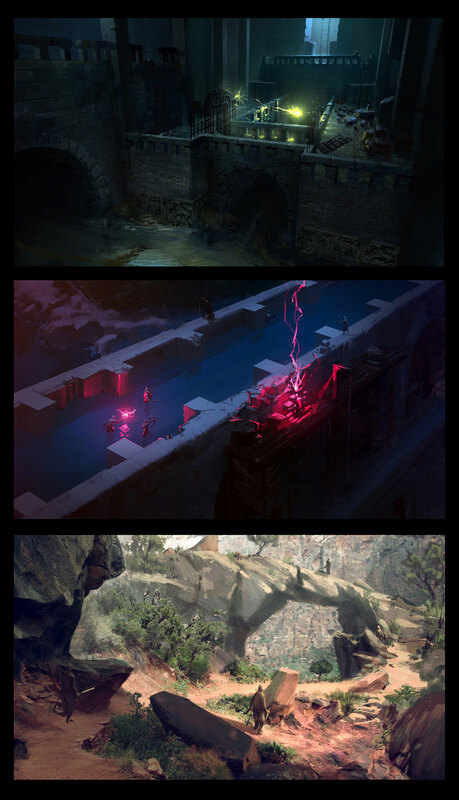 It was meant to be a dark and gritty fantasy game, with a more realistic approach to the style. And thus a few weeks after, I came into the studio and was greeted with a rough outline of the history and lore of this world. Even though it was rough, you can clearly see (or read) that it has a lot of potential, and that Igor, has set up a lot of interesting back-stories to the world. With the lore in mind, I then set out to design and create what the world and the living creatures roaming in it look like. 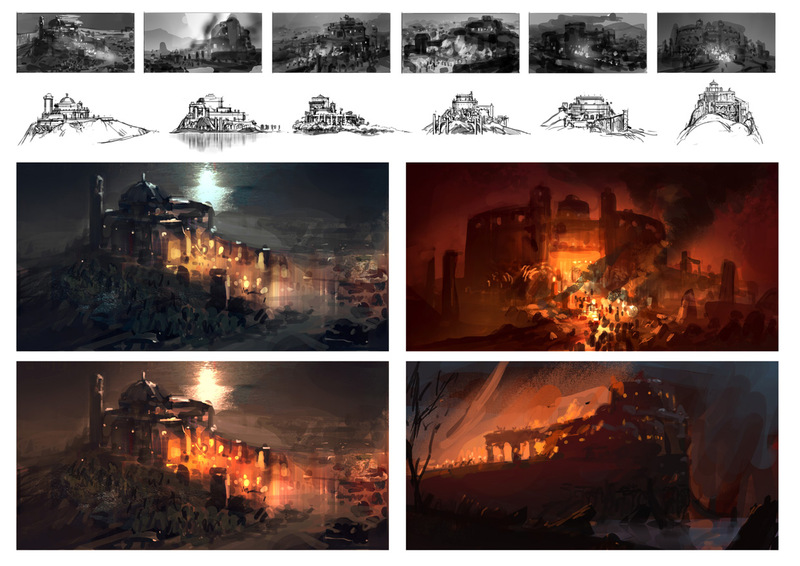 In the first phase, I started with painting rough visuals of various key scenes of the main story. It was meant to explore the mood and diversity of the world. During this time, a lot of things could change and they could also be anything. 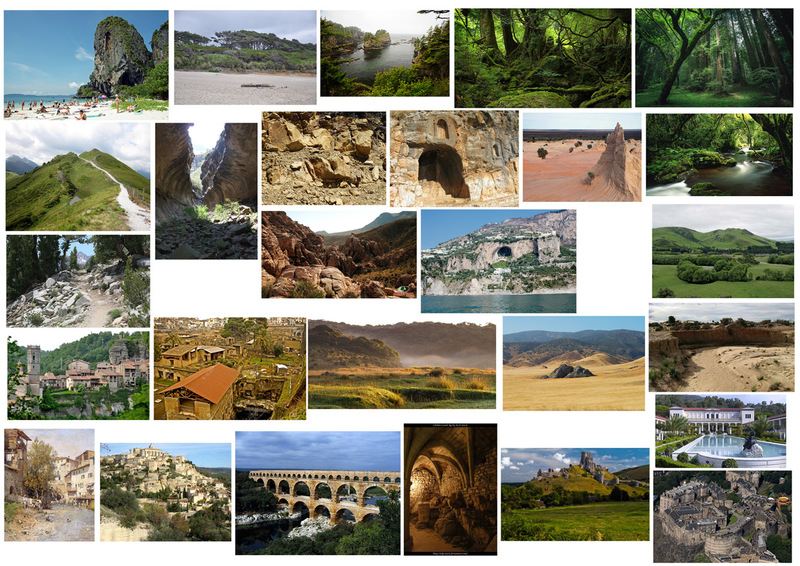 I looked for references of from the diversity of biomes that exist in our world. As we have many extraordinary events throughout the history of the world, it is very important to research from our real world since we want the game to be very grounded and rooted in reality. These various pieces would also, later, help direct the some of the look of the future maps. After this stage, I begun to search for the look of the races that we will see in-game. We were heavily inspired by the Roman culture which you can see through the looks of the main race, Neshalan. 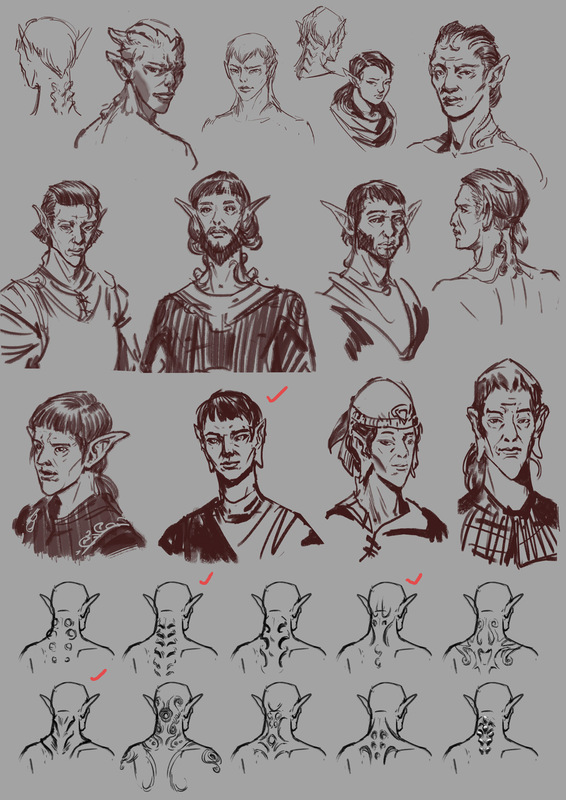 The Neshalans are supposed to be the offspring of the human race and the Volgisi, they have facial features of humans, but they have ever-so-slightly the ears and these “receivers” at the nape of the neck of the Volgisi. I wanted them to look more human than Volgisi to clearly differentiate between the two. With Rome as an inspiration, I also looked to designing the look of the various armor types in the game. It was not a very easy task as there were some variables in the technical side that we could not predict at that time in the pre-production phase, we had to estimate what problems might occur. Our main limitation was budget and time. 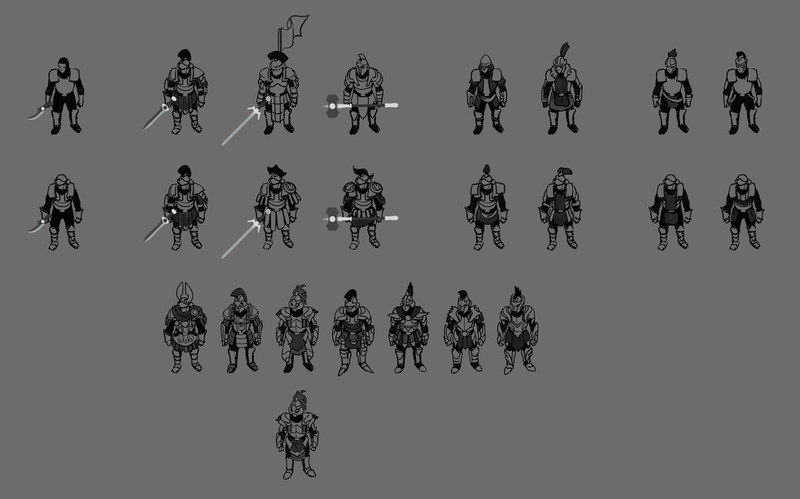 These were designed to be modular, to cut modeling time while maximizing the variation in the armors available in game. And with that, I end the first blog post from me. Hopefully it was entertaining and insightful to read. Please look forward as I share more about the designs behind Forged of Blood. Until next time!